Mental health tops this list for a very important reason. Stress, daily problems, panic attacks, and depression negatively affect the quality of our lives. Most importantly, they all are slowly ruining your mental health, leading to a huge number of health issues. 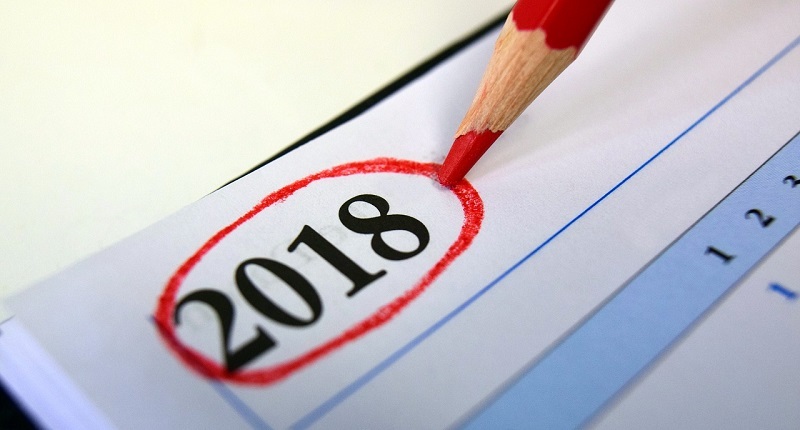 In 2018, make your mental health a top priority. Meditate, take daily strolls, laugh, get enough sleep, and eat well to eliminate stress and diseases from your life. In 2018, start replacing your self-destructive habits with those that will help you grow and feel happier. Life is challenging. Sometimes, you have to stay up late to finish that project or clean your house, and sometimes you have to work hard to pay off the debts. But do not make it a habit. Staying up late checking your Instagram or Facebook feed is a self-destructive habit. Other bad habits include alcohol, smoking, overthinking, and toxic relationships. Reconsider your habits now in order to have time to quit them till 2018. You do not have to look for a reason to laugh, just open any funny video and laugh out loud. If someone irritates you, laugh instead of getting angry. Laughter improves mood, wards off diseases, and makes your life more positive. “Messy” does not mean disorganization. It means, “Stop being perfect.” You will never satisfy every single person in your life, so be yourself and let them accept you the way you are. If they do not love you for who you are, you do not need them in your life. The same goes for all those tasks and projects that your boss wants you to do perfectly. Just ignore them. Accomplish them and do not spend those extra hours in the evening trying to do them ideally. Trust me, your boss won’t appreciate it anyhow. Isn’t it better to spend those extra hours with your family or friends? We often listen to the world when it comes to deciding how to live our lives. Only few of us listen to the heart and follow our dreams. In 2018, learn how to listen to yourself, not to what others say. Want to color your hair green? Do it! Want to quit the job you hate? Do it! Find your passion and enjoy doing what makes you happy. You might be sick and tired of hearing about healthy eating habits, getting enough sleep, exercise, etc., but you have to adopt healthy habits. What you put in your body and treat it play a key role in how great your physical health is. Start improving your well-being in the coming year to live a longer and more positive life. See? You can make 2018 absolutely positive with little to no effort at all. All you need to do is to set the right goals and stick to them in spite of laziness or mood swings. What are the things that can make 2018 more positive for you?